The Apple Watch made its debut on wrists around the world today — and people are unboxing and poking at it as we speak. Several of us here at TechCrunch have been doing the same with ours, and we’ll be documenting that over the next week or so. In order to give you a more holistic picture of what it’s like to use one day to day, and to give you a place to check in on our observations as we explore, we’ve launched our Apple Watch Diary. The diary below will be tended by TC staffers and feature videos, text and other experiments that will give those of you without an Apple Watch a chance to see what it’s like to own and use one. And those of you who have one may end up picking up on some things that you haven’t seen yet yourselves. So I picked a second Apple Watch. And I didn’t wait the 4-6 weeks my previous order was telling me I’d have to endure. Instead, I picked up a 38mm silver aluminum model with white sport band on Kijiji, new in box, and met a (nice) guy in a parking lot and forked over some cash. Why? 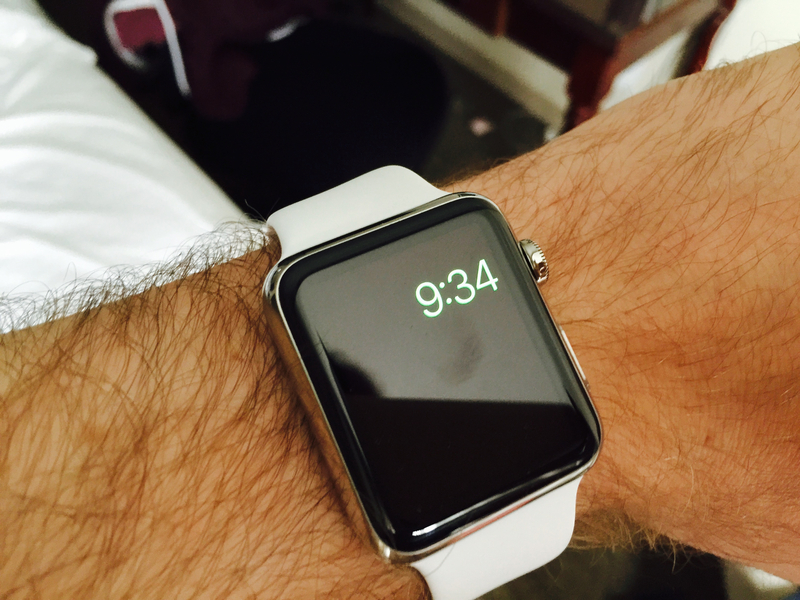 One thing became apparent about the Apple Watch almost immediately: It’s better with friends. I have many lovely work contacts and a few good friends already outfitted with the device, but I really wanted to get one on my girlfriend’s wrist, and I wanted to do so ASAP to see just how much it would change the experience of owning one. I also get to check out the merits of the smaller face size, as well as the brushed aluminum finish and Ion-X glass, and I’m suitably impressed based on first impressions. The display does seem less prone to glare, and the smaller case size is – there’s no other way to say it – adorable. Stay tuned for more impressions, including what I anticipate will be a change in attitude regarding the Watch’s exclusive messaging features. I also spent some time on Periscope this weekend answering questions submitted via Twitter, which you can checkout here. The once daily paradigm sort of fell apart over the past weekend, since most of Saturday was spent in travel heading back from Vancouver to Toronto. Still, the Apple Watch proved useful, thanks to Transit providing local stop information, Yelp offering brunch recommendations in the city and Air Canada keeping my paranoid traveller brain soothed with a 24 hour countdown to boarding. Once back, I got my first chance to use the Apple Watch as a fitness device. 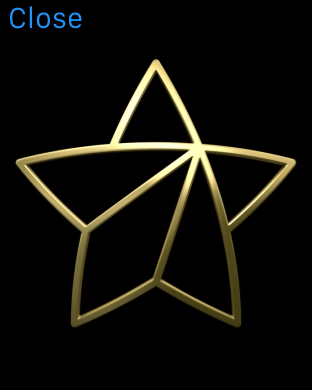 Reunited with my dog, I used it to track our progress on our first long walk, and the watch rewarded me with an award for my dedication. We didn’t range all that far, but I was surprised to find out that I burned far more calories on those strolls with the pooch than I had previously suspected. I got this award for walking. Later in the day, I tried out the Workout app for something a bit more intense – a 3-mileish 25 minute run. While I plan to use just the watch in the future, this time I took my iPhone 6 Plus with me, secured in a zipper pocket, as I’ve been told by Apple that training it with the phone’s built-in GPS for the first few outings will result in a much more accurate distance guesstimate when you eventually leave the iPhone behind later on. As a fitness device, the Apple Watch worked wonders. It provided at-a-glance progress information, displayed as both a visual circle representing the percentage I’d achieved towards my 25 minuted timed goal (selected after “Outdoor Run” though the app) and swiping through provided a look at calories burned, distance travelled, heart rate and pace. I also remembered that I should switch the units to metric for next time, seeing as I’m Canadian and have limited grasp of your complicated Imperial system. Based on measurements I’ve take previously with dedicated fitness watches that feature in-built GPS and continuous heart-rate monitors, this was quite accurate, especially for my purposes. My heart rate seemed a little high, but this was basically my second run of the season, so that almost certainly had more to do with a sedentary winter than with the hardware. 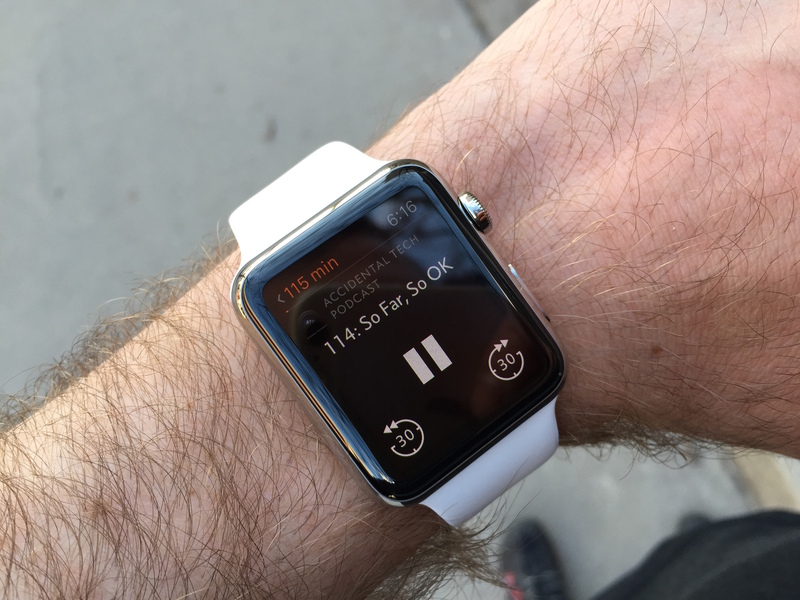 During my cool-down walk home, I was able to try out yet another Apple Watch feature – controlling podcast playback with Overcast. This third-party podcast app by developer Marco Arment is one of the first with Apple Watch support, and it works perfectly to let you play/pause/skip through your episode, as well as view total progress, all while keeping the current time in sight. One thing I realized using the Watch with Overcast was that I really like the setting you can toggle to have the device resume to the last open app upon wrist raise. Another thing I realized was that I desperately want this feature to be app-specific; as it stands, it’s universal, and while it’s highly appropriate for something like Overcast, it’s far less so for an app like Photos or, to use another third-party example, OpenTable. Good news on workout battery draw, too – mine dropped less than 10 percent during my nearly 30 minutes of overall activity (run + cooldown) so it definitely won’t affect that general day-long range. On the third day with Apple Watch, I also coincidentally stumbled upon the My Idol app that everyone’s going crazy for, which means I sent and received a lot of messages similar to the one you see above. This was also the first day that the general public started to get their Apple Watches (day three being Friday), meaning my contact pool extended beyond Panz and some Apple folks. I was surprised to find this meant I started to enjoy the doodle message function a lot more, sending slightly scurrilous sketches and heart drawings to a good friend who’s also in the gadget biz. As I was also still in vacation mode, I was still using the Apple Watch primarily as a travel companion, which meant tracking different calendar events, using Tripcase for day planning, and employing navigation again to find my way around. 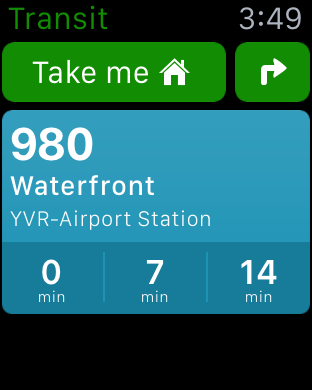 The Transit app was also a really handy addition to my app toolkit, since it could provide nearby expected arrival and departure times for Vancouver SkyTrain, buses and even their adorable tiny water taxis, one of which we used to make our way to Science World. While viewing the sights at the science museum, which turned out to be primarily geared towards kids, I made good use of the Apple camera remote app to capture some nice vistas from slightly above my eye-level reach. It’s useful for “periscoping,” which is to say not actually Periscope live-streaming but acting as a viewfinder while you hold the camera up high at the end of your arm’s maximum vertical reach. 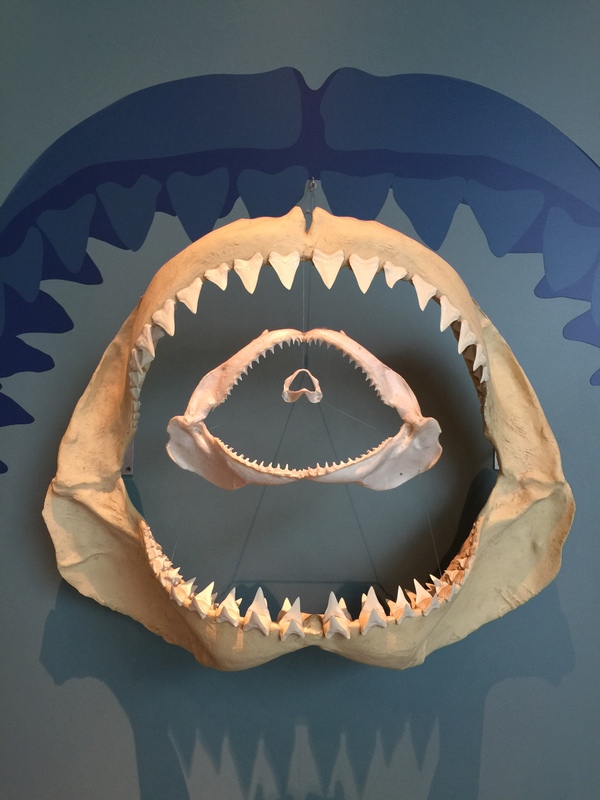 This shark jaw picture would’ve been hard to get just right pre-Apple Watch. I forgot until today that I’d turned off Mail notifications on my iPhone altogether, but I decided to see how that would work out for me now that I’m using the Watch. Turning them back on proved much more useful than I’d expected, thanks mostly to the fact that you could trash them on on the Watch based on the preview that came through on the spot. This led to a much cleaner inbox instantly. Once again, I ended the day with plenty of power in reserve (over 40% this time), and since today (Saturday) is a travel day, I don’t anticipate digging too deep into its capacity over the next little while, either. Battery has been the biggest surprise for me – remembering to charge isn’t as much hassle as I’d have expected, and I’ve never even gotten to the point of “range anxiety” with a low battery count aside from that first day when filming. After the over-taxing first day, my second day with the Apple Watch was probably much more reflective of the average user’s general use – in part because I was on vacation. 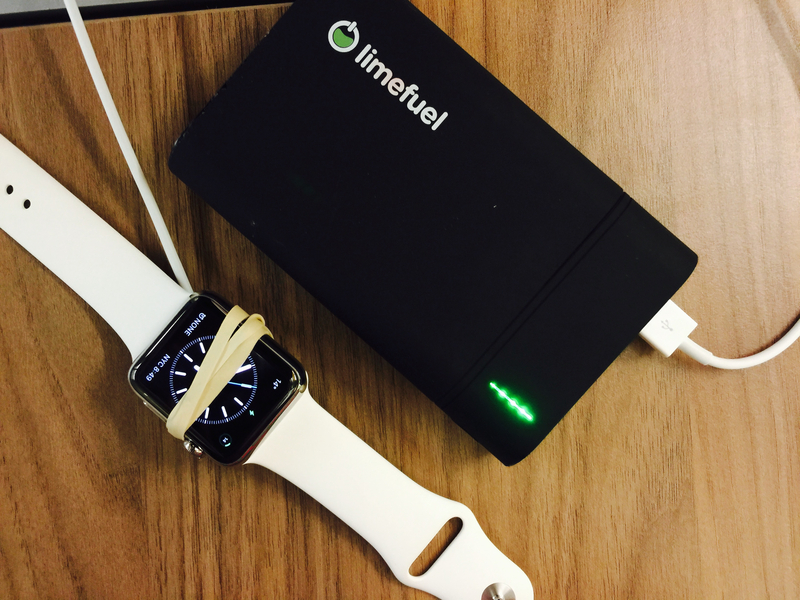 After charging the Watch overnight, I had a full battery to leave the hotel with at 10 AM (yes I slept in, vacation remember). Breakfast at the Grove (navigated to by Watch, again) was great, and though some taps told me I’d have notifications to check, I was able to give the girlfriend full attention by ignoring them. The difference between this and my iPhone on silent was that I actually felt when they arrived, and was able to keep track of how many I could expect when I was able to check post-meal (I might not even have remembered to check otherwise). Navigation was again a big part of day two, since me and my girlfriend were sightseeing a bit around SF before catching our flight to Vancouver later. Then Apple Watch again proved useful for something outside of notifications, because the Air Canada app provided at-a-glance flight status updates, as well as gate information and a countdown timer to boarding. You could even check in from the Watch app, though I’d already done so online. This proved useful because our flight initially showed a delay, which was luckily eliminated later. I might’ve shown up late if the Watch app hadn’t shown the changed status, however, letting us get to the airport on time and letting me ease my general travel neuroses with frequent checks. The countdown was particularly soothing, showing me exactly how much time I had remaining until boarding without requiring that I do any additional math between current time and time of departure. I’m also peppering my time with Apple Watch sending Matthew a bunch of ridiculous emoji, taps and my heart rate, but truth be told, this is not a compelling use case for me so far. I’m basically doing it because we can, and ahead of the general delivery date for early orders, not many other people can claim the same. I do see how those features could become more appealing once people I’m more personally connected to have device, however. Sorry Matthew, I still love you in a professional way. During the two-hour flight from SFO to YVR, I put the Apple Watch in power reserve mode because it wouldn’t be doing much anyway (no Wi-Fi on board). This was my first time using that mode, and I noticed that there’s a decent bit of lag between you pressing the side button and the time being shown (which is displayed as you can see below). I’m betting this means the watch is truly almost powered off like this, and not even waiting on standby to be ready with that time readout. Switching back to full power mode also involves a lot of booting time, indicating it’s probably nearly completely off. 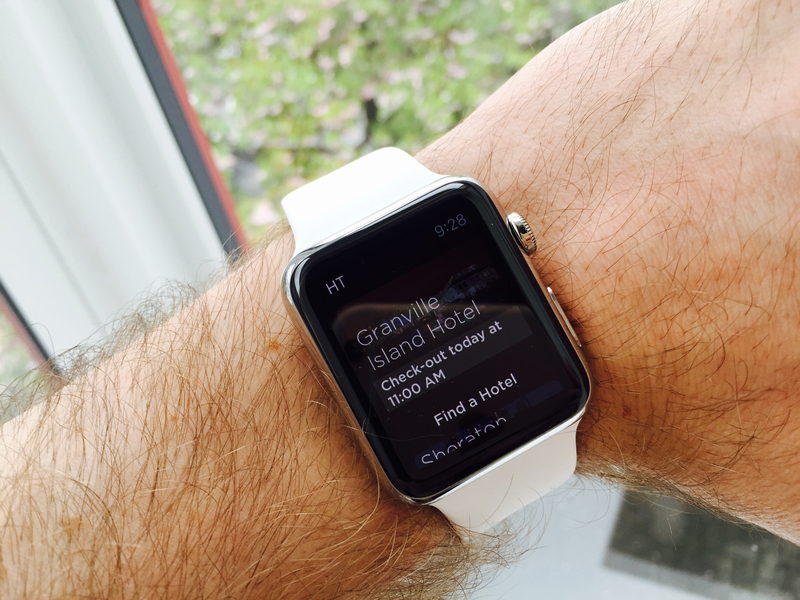 When we landed I fired up the Apple Watch and check out the Hotel Tonight app, which I’d used to book our accommodations for the evening. The app provides info about active bookings at a glance, which is awesome for travelling with bags and luggage when you’re not really able to fiddle with your phone. If you have a credit card saved, you really can see nearby hotels and book directly on the device, which makes me feel a little bit like a true international man of mystery. The app is currently displaying my check-out time, which is also handy, and that book a hotel link means I’ll be able to find another place to sleep tonight, too. After a night out for a relative’s birthday dinner and drink celebrations, complete with many questions and comments on Apple Watch, I retired to the Granville with plenty of juice still left in the tank – around 35% after my first full day of what I’d term “normal” Watch use. And that’s during a day when my head didn’t hit the pillow until at least 2 AM. Notifications on the Apple Watch are a distinctly different language than phone notifications. They are immediately actionable, better served by being quieter and more precise than the ‘log of things you missed’ that the iPhone provides. 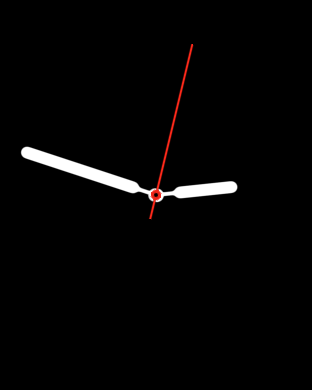 In fact, the biggest Watch software pain point I’ve come across so far is granularity of notification control. For users and for developers looking to make cool, useful apps, this lack of individual tweaking ability will limit many apps usefulness until Apple makes a change. To illustrate, here are the notification settings for Apple’s Calendar app, vs. the simple toggle for individual third-party apps. The toggle offers control, which is great, but not nuance, which is constricting. While you may want all notifications an app produces to be logged on your phone, you may only want a fraction of those to tap you on the wrist urgently. To illustrate, let’s talk about the MLB app for Watch. Currently, it must push you notifications for games, scoring, league news and other items in exactly the same way that it does for iPhone. This could get annoying on your wrist, but is still useful on your phone when you look at your lock screen and get a summary of a game you might have missed during a meeting. 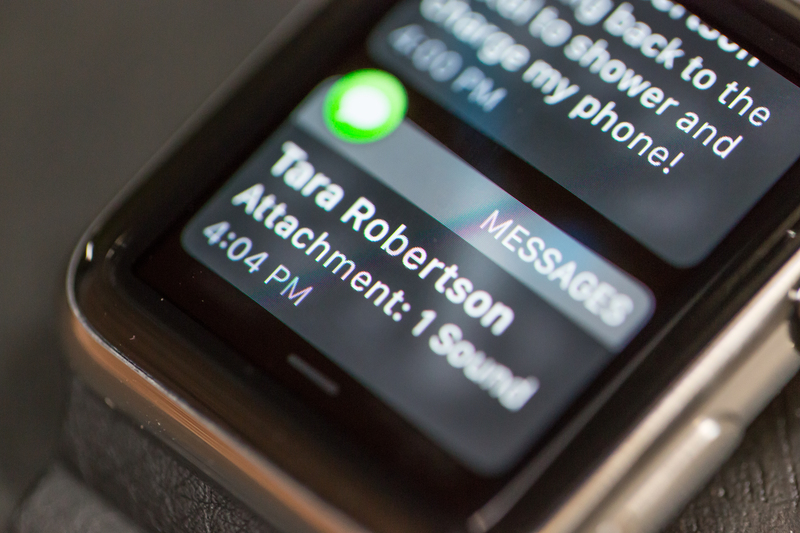 One example of a notification that would work fantastic on your wrist, but not on your phone: lead changes. Knowing whether your team is winning or not in the moment is a nice thing for any sports fanatic, but it makes zero sense to send this kind of notification to a phone, when its relevance could expire within minutes. 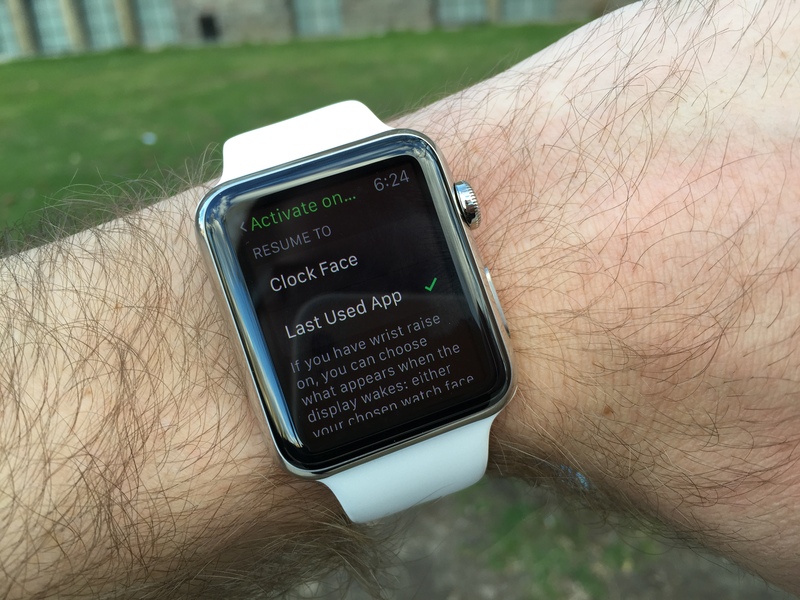 Limited-time, situational notifications are not only possible on Watch, they’re explicitly the most useful. A boarding pass, a control panel for your home, an actionable notification that lets you unlock your car door. Any of these possibilities depends on Apple rolling out more granular notifications. When will they do that? Hopefully soon. One could imagine that the native software development kit, which will allow developers to build more sophisticated apps that run directly on Watch, could also allow for this. That’s due out later this year, and expected to be announced at Apple’s WWDC conference. Some new Apple Watch ads are hitting now, and we’ve written about them here. One of them, Up, is embedded below. The spots all highlight the fact that the Watch is a significant departure from the frameworks of the iPhone, something that it may take folks a while to adjust to when evaluating it. 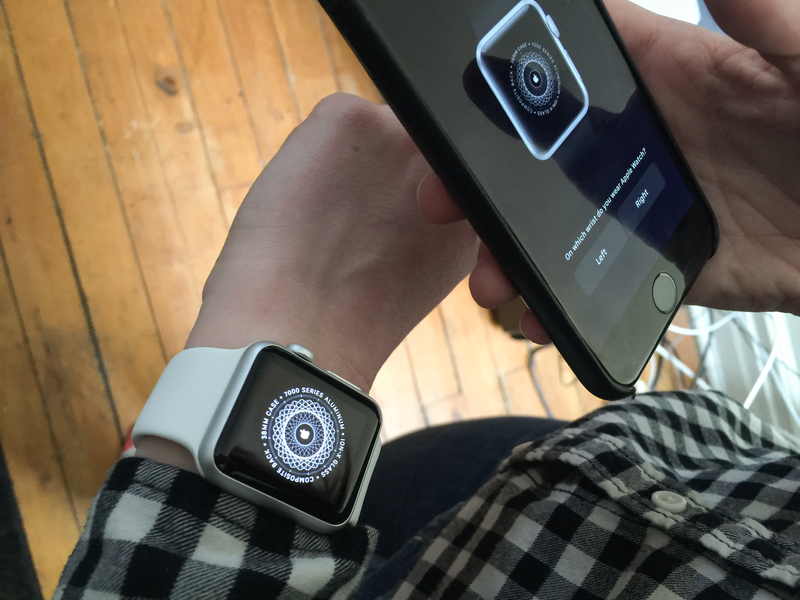 The first day with the Apple Watch was a day of fingerprints, in that I interacted with it a lot. A whole lot. With a device like this that has a lot of potential for finesse and refinement in software and settings, there’s a strong desire to “get it right” or “set it and forget it” once you open that box and power it up. Every time I set up a new iPhone I experience the same sensation, but in this case, it felt like there was a lot more involved than just getting the wallpaper right (and ironically, there isn’t even any wallpaper to set). Initial setup was easy enough, though it did involve more waiting than I would’ve expected. The pairing process was simple, and the animation camera tagging that Apple uses to match your iPhone with your Watch is both clever and more or less frictionless. Where you’re held up is in the transfer process that occurs once you pair and the iPhone has to send over apps and data to the Apple Watch. It can happen in the background, meaning you can start it and go do whatever else you wanted on your phone while it happens, but if you’re relatively antsy with anticipation about playing around with your fun new toy, any waiting is bound to be irksome. Still, the process only really takes a few minutes in the end, and I survived. And that’s when the real hands-on fun begins, because there’s a certain amount of initial personalization that comes next to do things like customize the watch face you’ll probably be seeing around 80% of the time you’re looking at your Watch. 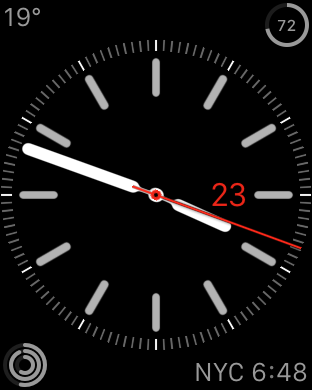 I’m still not entirely satisfied with my watch face choices (Simple Face, no numbers but indicators, with blue hand and weather, alarm, world clock and date) but I wanted to get Watching as quickly as possible, and you can always refine later. Out of the box, I also just let notification settings mirror my iPhone entirely, since they’re pretty much set where I like them on that device, and I’m curious whether I’ll feel differently about alerts on the wrist. One other note about setup – if, like me, you don’t really use the Favorite contacts lists on your iPhone, you’ll feel a little lonely. The Friends wheel for quick messaging is automatically populated from that list, meaning I had exactly four when I started out. You can quickly rectify that by adding more Friends in the Apple Watch iPhone app, which I did, but I still didn’t fill up the 12 spots available. The rest of setup involved checking which apps were showing Glances, adjusting Health goals and otherwise interacting with the Watch for periods longer than were generally useful in order to shoot video and still pictures, explore the OS and otherwise get used to the device. This meant the 44% charge mine came with initially got eaten up fairly quickly, reducing me to using the setup pictured below to give it an early evening boost on my walk from the office to my hotel room – it had the desired effect, however, as I got back up to around 40% by the time I arrived some twenty minutes later. Apple Watch proved itself immensely useful for the first time when I used it to navigate to a Mexican restaurant Yelp pick for dinner. Helpful on screen tips appeared at a glance after I kicked off navigation on my iPhone whenever I raised my wrist, and when I neared my destination, helpful taptic taps let me know I’d arrived. All day I’d been appreciating inbound notifications, but the route guidance when walking to an unfamiliar destination was my first hint that Watch would not, for me, be just an alert window. In this introductory video, Darrell Etherington and I chat a bit in the TC offices about the time we’ve spent with the Watch so far, its packaging and setup and some interesting interaction tidbits.